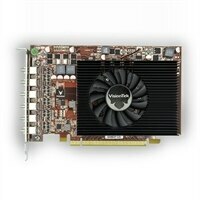 VisionTek Radeon 7800M Digital Signage GPU The VisionTek Radeon 7800M offers advanced video and display technologies, as well as support for DirectX 11 for the most versatile solution for digital signage. Designed for full sized systems, you can make use of amazing multimedia capabilities utilizing AMD ZeroCore Power Technology. The 7800M also offers more workspace by supporting up to six monitors. The VisionTek Radeon 7800M offers advanced video and display technologies, as well as support for DirectX 11 for the most versatile solution for digital signage. Designed for full sized systems, you can make use of amazing multimedia capabilities utilizing AMD ZeroCore Power Technology. The 7800M also offers more workspace by supporting up to six monitors.